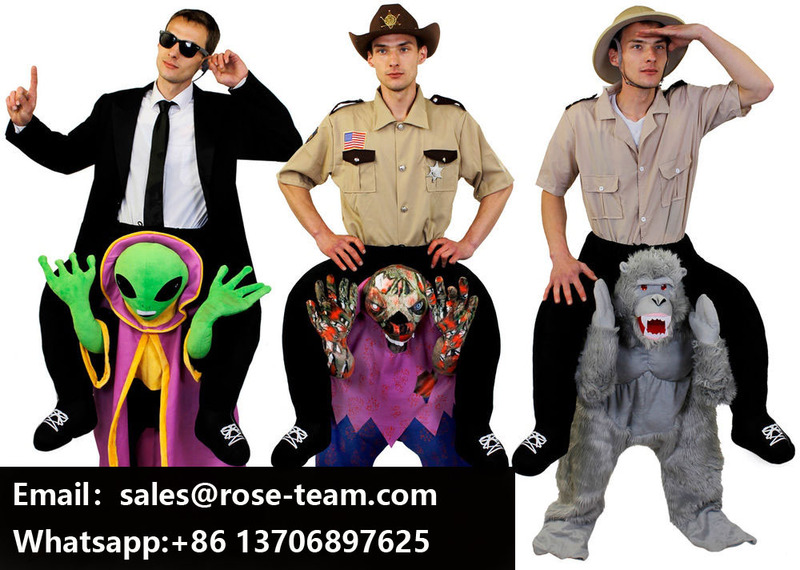 Ride On Carry Me Costumes wholesale from China Manufacturer Supplier with cheap price.Surprise your friends this year with one of the silliest concepts for a Halloween costume: the ride-on suit! Shrink yourself down and ride atop an animal or character of your choosing and you may even surprise yourself how real it seems. Saddle up this Halloween and order your ride-on costume today!